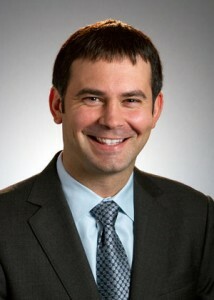 Christopher T. Hurley attended Catholic grade school in Chicago, graduated from La Lumiere, a high school in Indiana, and later obtained his law degree from Loyola University College of Law in Chicago. Mr. Hurley has been an Illinois trial attorney for nearly 30 years. He has devoted his practice to protecting the legal rights of clients throughout the region. Mr. Hurley is a Fellow of the American College of Trial Lawyers. The College, founded in 1950, is composed of the best of the trial bar from the United States and Canada, and membership in the College is limited to 1% of the practicing lawyers in any state or province. Mr. Hurley also is a Fellow of the International Academy of Trial Lawyers, and has been elected to membership in the American Board of Trial Advocacy (ABOTA). Based on peer recommendations and statewide surveys, Mr. Hurley also has been selected as a Leading Lawyer in Illinois. Mark R. McKenna was born and raised in Chicago, and attended St. Laurence High School, an Irish Christian Brothers school in Chicago. He obtained his college degree from Northwestern University, and graduated from the University of Illinois College of Law. In addition to his trial experience in the Illinois state courts and the United States District Court, he has argued before the United States Court of Appeals for the Seventh Circuit. Chris and Mark are Illinois attorneys working as part of a national team of lawyers who have helped bring justice to hundreds of other clergy abuse survivors across the country. To speak privately with Chris and Mark or a member of their team, call 206-462-4334. Or click here to contact Chris and Mark by email. Mike is licensed to practice law only in Washington, but he often works with Chris and Mark on child abuse cases in Illinois. 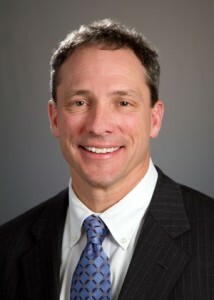 See more information about Mike Pfau at www.pcvalaw.com. Jason Amala of Pfau Cochran Vertetis Amala PLLC has devoted his law practice to representing individuals and businesses who have been victimized by others. His clients and cases span a diverse range, from pro bono representation of elderly tenants, to representing employees and consumers injured by defective products, to numerous multi-million dollar settlements for victims of childhood sexual abuse. Jason primarily practices in state and federal trial court, but has also obtained favorable decisions from the Washington Court of Appeals and the Supreme Court of Washington. Jason is licensed to practice law only in Washington, but he often works with Chris and Mark on child abuse cases in Illinois. Read more information about Jason Amala at www.pcvalaw.com.